Drive down winding country lane to your own private paradise! Custom built 4 sided brick home on private 48 acres w deer, turkey and more! Relax on the wrap porch viewing ultra lush pastures, 3 ponds/waterfall/creek. Main level offers 10 foot ceilings/large country kitchen/Master and 2 large bedrooms, each bath w heated tile floors/Expansive screened porch/Terrace level w full kitchen/2 bedrooms/workout room/ bath/ storage. Large multi purpose barn easily converted to 8/10 stalls. Full house gen set and water filtration syst. 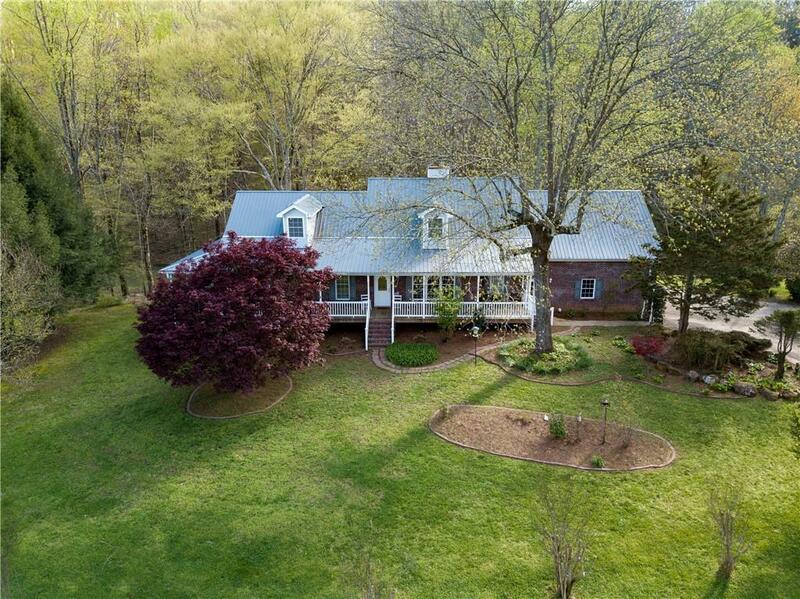 Beautiful property w pastures/ water/woods. Directions: Use Gps. Works Well From Downtown Dahlonega And Probably The Best Route To Go In.